A sense of déjà vu this week as the most talked-about deal concerned an exotic food product inspired by a charismatic singing entrepreneur’s home country – but instead of Caribbean barbecue sauce, this time it was Joe Walters’ Texan beef jerky making headlines. Newcastle entrepreneur Donna Kerr-Foley also gained the Dragons’ backing with her portable exercise mat but not before prompting a typically dismissive tirade from the pinstriped man on the left, Bannatyne. Elsewhere, husband-and-wife team Clare and Matthew Naughton left the Den with filled nappies but empty pockets after their recycling business fell flat. Since the runaway success of Levi Roots’ Reggae Reggae Sauce pitch, many businesses entering the Den have tried and failed to copy his winning formula; a premium food product with a catchy jingle and a likeable, authentic frontman. Affable Texan entrepreneur Joe Walters seemed to have fulfilled all of the superficial criteria when he emerged from the lift, backing band in tow, singing a country music-style jingle about the benefits of his dried beef jerky snack. Unlike other hopefuls, however, his product was backed up by an impressive set of figures and revelations of spiralling demand. With a clear plan to take on the market leader in the UK’s £12m dried meat snack sector (Wild Wild West) and a national supply deal with Young Gun-founded Scottish craft beer brewer Brewdog – accompanied by a letter of intent from founder James Watts to match any investment made by the Dragons – it was not long before the experienced investors were fighting tooth and nail over the opportunity. The negotiations opened with Hoppen offering Walters exactly what he was asking for. It looked like the canny interior designer was again set to beat the veteran Dragons to an investment opportunity, as Bannatyne, Meaden or Linney couldn’t match what she was offering – until Jones offered Walters £50,000, more than he was asking for. Encouraged by the other Dragons to take Jones’ offer, Walters negotiated him down to a 24% stake (so he could retain a controlling interest following James Watts’ contribution) and the lift doors closed to a shout of ‘Yeehaw!’ from the delighted cowboy. 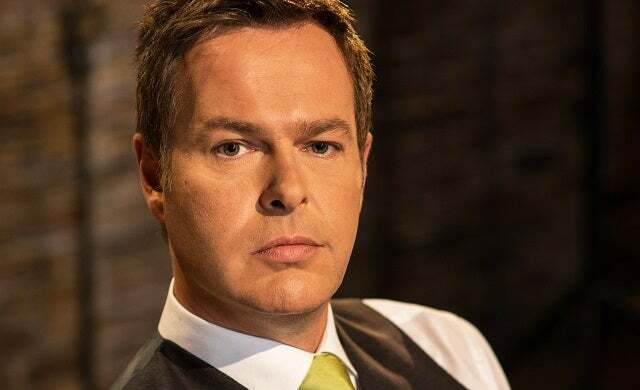 Unhappily, following the show’s conclusion, negotiations collapsed between Walters and Peter Jones and the £50,000 investment never materialised. Unfazed, Walters has pressed ahead with the James Watts partnership and the rebranded Texas Joe’s jerky can be found in Brewdog pubs up and down the country. The Newcastle-based fitness coach’s portable exercise mats – which wrap around the user’s waist for easy transportation during epic fitness sessions – caused a marked split of opinion in the Den, with Bannatyne memorably describing the product as the ‘stupidest’ he had ever seen on the show. Unfortunately for the young businesswoman this was a view largely shared by Jones and Linney, who soon followed Bannatyne in ruling themselves out. Kerr-Foley had more success with the two female members of the Den; Meaden was especially pleased by the way the unflappable entrepreneur stood her ground in the face of the Dragons’ withering putdowns. The remaining investors’ appetite for a deal was further whetted by Kerr-Foley’s promise that she would split any equity given away between the Running Mat product and a profitable fitness bootcamp business she also owned. In the end, Hoppen marked her second done deal of the show as the fitness enthusiast tempted Kerr-Foley into a joint deal with Meaden. Husband-and-wife duo Clare and Matthew Naughton seemingly ticked all the boxes with their innovative nappy delivery and recycling service; targeted at middle-class parents with deep pockets, the business boasted impressive environmental credentials with a 70% lower carbon footprint than the usual practice of dumping nappies in a landfill. However, the pitch fell apart when Jones picked up on the ‘incredibly disappointing’ fact neither entrepreneur was willing to quit their day job to focus on running the business – a concern shared by all present, who ruled themselves out in swift succession.